Simon has amazing impact at a range of events, speaking and facilitating bespoke content to meet your needs. View him in action and hear client testimonial from some of the most recent experiences here. How could Simon help you and your organisation? Simon has worked with hundreds of companies and coached thousands of leaders to increase their impact - could you be next? Whether it be 10 or 10,000 staff, Simon has the skills, experience and attitude to help you. Contact us for a discussion or more information on how we could work together. — Eva Hamilton MBE, Founder & CEO Key for Life. — Mark Perry, Executive Director HCWA. 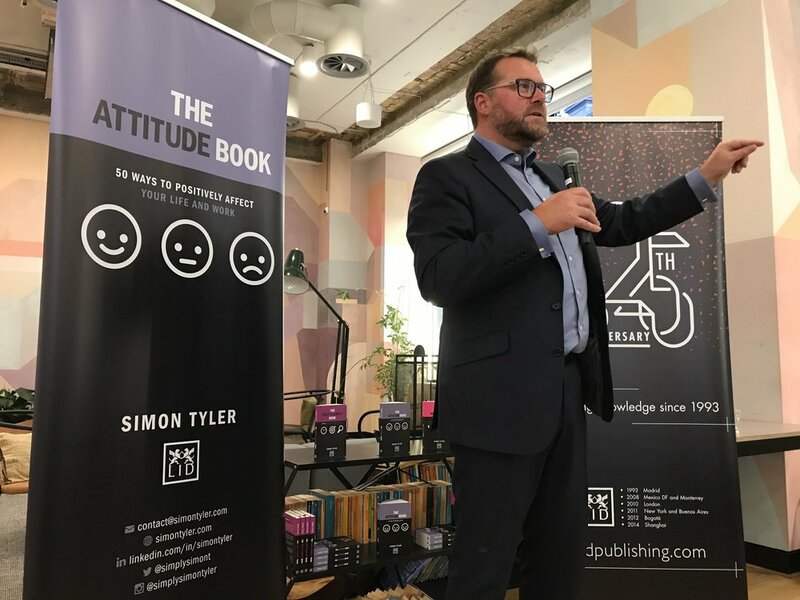 Simon’s year has begun amid much fanfare with his latest book “The Attitude Book” shortlisted for the Business Book Awards 2019. On top of that, Simon has been busy running a ‘Coaching Dojo’ for HCWA executives, continuing consultancy and coaching work with Wiltshire Council Corporate Directors and senior leaders and delivering a range of conference talks including for CIPD and coaching development programs. Simon has been featured on the BBC and various other media discussing his work and thoughts and also continues to produce his fortnightly Simple Note blogs and podcast. If you’d like to book Simon for speaking engagements, consultancy or coaching then contact us and Simon will put together a bespoke package to meet your needs. It’s been a phenomenal year with events all over the UK as well as Canada, culminating with Simon’s annual Rooster Talk at the Glove Factory Studios which you can watch in full here. 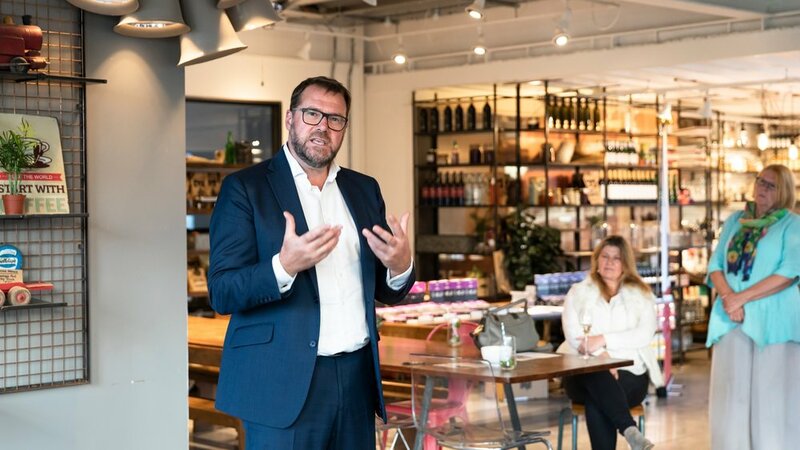 In between speaking engagements and coaching clients, Simon launched his latest book - “The Attitude Book” with events in London, Edinburgh and his home county of Wiltshire. We hope you had the chance to see Simon but if not then look out for more to come and get in touch to book your own event. You can check out some pictures and clips of Simon in action below as well as reading testimony from attendees to Simon’s events. "Really good... lots of energy and really made me think about stopping and reflecting on my attitude and how it can help improve my life inside and outside work" - Pete Thomas, Lex Autolease. "Exhilarating... Thought provoking" - Debbie Harding, Lex Autolease. Watch Simon in action now by clicking here. Listen to Simon on his regular Simple Note podcast or in interviews talking about the power of your attitude. Simon ended the year with his now regular slot at the Glove Factory in December with an Impactful Me talk on confidence building. You can view it in it's entirety at YouTube by clicking here. "Everyone I spoke to afterwards was raving about it, and we'd love you to come back again next year, please!" 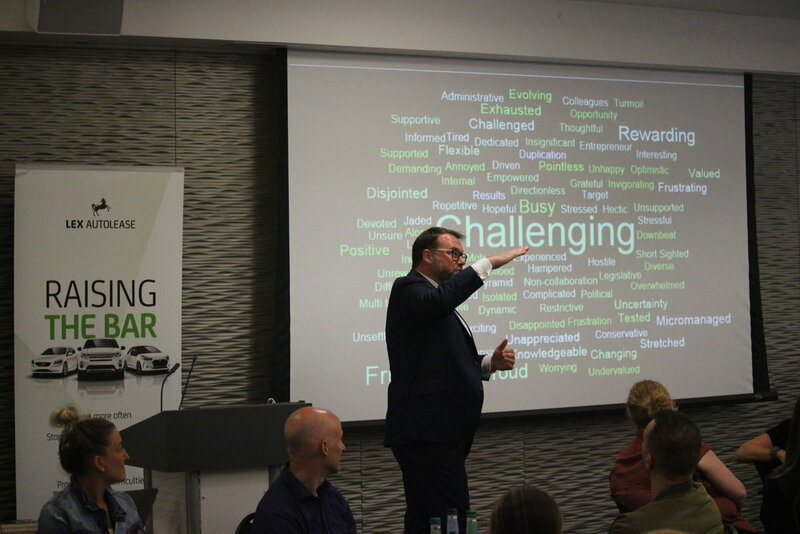 Simon was speaking at Old Trafford Cricket Ground to emerging leadership talent delegates, he was keynote speaker and part of a panel Q&A. "I have greatly appreciated and valued my time with Simon; his incisive analysis and conversational style has made a huge difference to me in 2017. I'd thoroughly recommend Simon as a coach; his engaging style, incisive observations and depth of practical techniques honed during his development of Simple notes and The Impact Code have made a real difference to my performance."